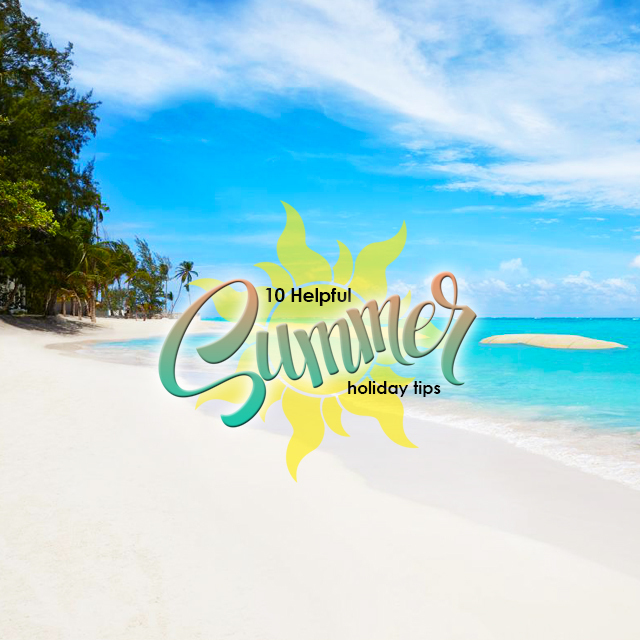 Get ready for sun, sea and sandy beach trips with these 10 helpful summer holiday tips! Big thanks to Tesco Living for this awesome article! Use a fitted sheet to protect your belongings from sand. 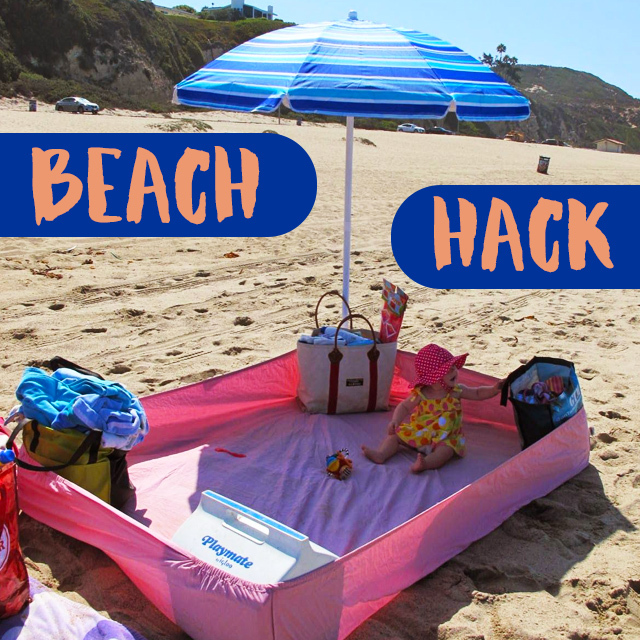 Simply place your beach/cool bags in each corner of the sheet and pull the corners up over them. Youâ€™re left with a lovely, sand-free lounging space. Check if your toothpaste contains eucalyptus, which will help to calm burns and stings. Discover other DIY ways to soothe sunburn, stings and bites. Put some aloe vera gel in an ice cube tray and freeze. Melt onto scorched skin for unbeatable soothing. This also works on bites and stings. Clean out an old suntan/aftersun lotion bottle and youâ€™ve got the perfect place to store money, cards and keys safely. If you’re travelling with a child, stash belongings in a rolled-up nappy. Its unlikely thieves will want to chance to look in there. Decant sauces, sliced onions and tomatoes into a muffin tray and cover tightly with cling film. No need to cart big bottles to the beach for a BBQ. If you’re sick of your towel blowing away the minute you stand up, those outdoor tablecloth weights will do the job nicely. Want somewhere convenient to store your book and sunglasses? Sew some pockets onto your towel (using an old towel or piece of fabric) so youâ€™re not constantly digging around for them in a giant beach bag. If youâ€™re taking a drink for kids, make up a two-litre bottle and pop it in the freezer the day before. It will stay cool for ages and once finished the bottle can be used for playing in the water or sand. Protect phones, tablets and e-readers from the effects of sand and seawater by securing them in a ziplock bag. Youâ€™ll still be able to use the touchscreen but you wonâ€™t risk annoying scratches and water damage.